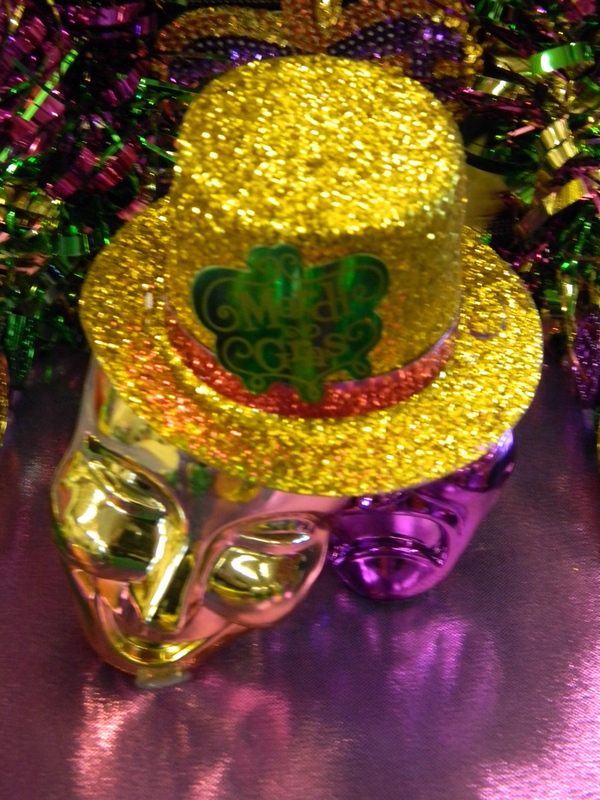 Day 1 at Mardi Gras in Lake Charles, Louisiana, home of the shiny, beaded and fried (pronounced “fraahd”). 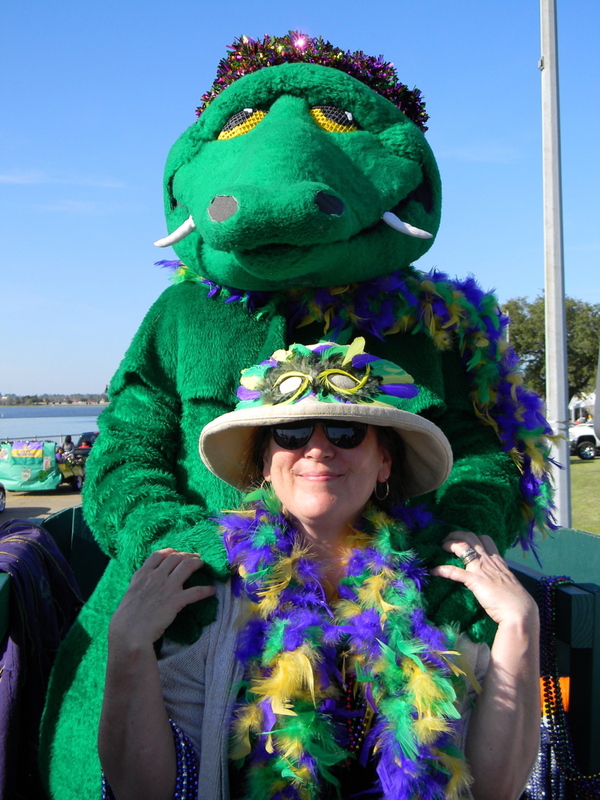 It’s Mardi Gras and we’re throwing green, gold and purple beads from Gumbeaux Gator’s parade float. We roll past hundreds of kids and families with arms raised, chanting,”Throw me something Mister!” Little old ladies hold their canes high to catch the beads – this is serious business. Decked out in feathered masks and sequins, we throw beads, beads, and more beads. Plus shiny dubloons and oddly popular orange plastic “Mardi Gras” cups. 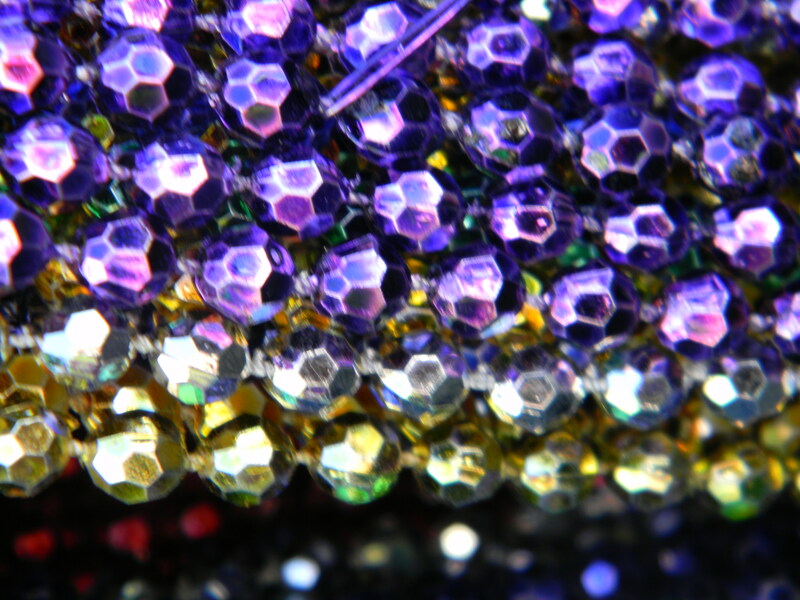 I learn that if you don’t meet your throw-ee’s eye, your beads – however neatly thrown and carefully aimed – will land the gutter. Eye contact is king. This entry was posted in Travel and tagged epicurean travel, hospitality, New Orleans Once-Removed, Offbeat American cities, outdoors, winter getaways. Bookmark the permalink.